Adorable personalized Easter shirt. 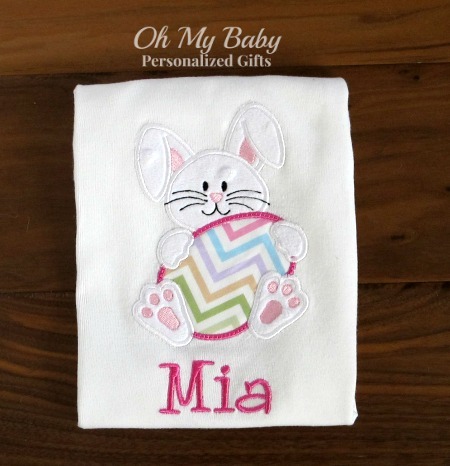 Embroidered Easter bunny holding egg applique design. Choose pink or blue. Egg fabric can be changed to any fabric we offer. Email info@oh-my-baby.com for any requests or changes.